In this experience, students analyze an anecdote and explain why the author wrote it. Then, they read a passage to identify the anecdotal parts and examine how anecdotes use engaging word choice. Finally, they write their own stories that include anecdotes. Students will collaborate in small groups for Scene 1 to Scene 3. Divide students into their small groups at the beginning of the experience. Recognize an anecdote and explain its use. Compose a text containing an anecdote. An anecdote is a very short story that is interesting or funny. Anecdotes are about real people who experience an event. 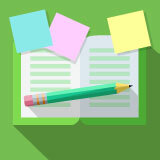 In this experience, you will read texts that include anecdotes, and you will have the opportunity to write your own text that includes an anecdote. Think about a joke or funny story that you know. Turn and talk with your group members and share your jokes or stories with each other. After all group members have shared their jokes or stories, work together to answer the following question. Choose a group note taker to write down your group’s ideas. Why do we tell jokes or funny stories? Discuss group responses. People generally tell jokes or stories because they are entertaining. They can also be used to help the listener make a personal connection to the teller’s message. What is the easy part of telling a joke or story? What is the hard part?